We offer Honey Bee Pollination to our local Farmers, Orchards & Colleges. We will keep our hives on your land all year for pollination or will keep them on your land while a specific crop is in bloom. We do not keep our bees where pesticides and other chemicals will be used on the crops that they will be near as this could harm and even kill our bees. Our hives are on 4-way pallets and can be unloaded with our equipment or yours. 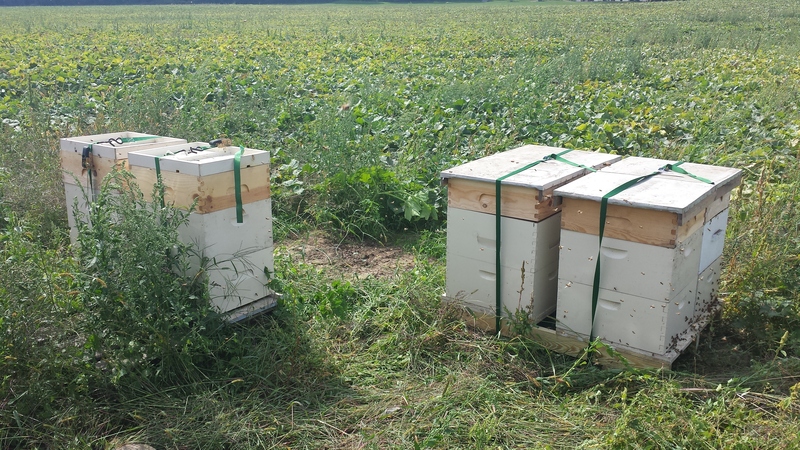 We have competitive and flexible rates per hive and are willing to work with our local farmers and growers in our region but can travel further if the needed. If you are in need of Pollination Services, please see our Contact Us page to email or call us for more information. Spots still available for the 2019 spring and summer seasons. Commonly pollinated crops are Apples, Pears, Peaches, Cherries, Blueberries, Cranberries, Pumpkins, Squashes, Cucumbers, Buckwheat, Clover. Thank you!